Insulin is a naturally produced hormone that allows the transfer of glucose into cells of our body, particularly liver and muscle cells, allowing the creation of energy. Insulin is produced in the pancreas and allows us to use carbohydrates (broken down into glucose) in our blood vessels to move around and function normally. This in turn manages our blood glucose levels. Insulin resistance (IR) refers to when the body stops responding to insulin the way it’s designed to. When you have IR your liver and muscle cells resist the action of insulin which results in the body producing a greater amount of insulin in order to keep blood glucose levels within the normal range. IR increases a person’s risk of developing T2DM and heart disease. IR can develop for a number of reasons. Metabolic syndrome, a group of disorders including excess weight, high blood pressure, and elevated lipid (cholesterol) levels can cause insulin resistance, as can pregnancy, stress, infection, untreated sleep apnoea and severe illness. Genetic factors, including family history of T2DM, also play a role in an individual’s development of developing IR. Certain medications can also have an effect. So then, what is Type 2 Diabetes? With IR, the body continues to produce insulin. As muscle, fat and liver cells begin not to respond to insulin, the body increases its production levels in an attempt to get these cells to accept the blood glucose that begins to build up in the blood stream. Over time these insulin producing cells in the pancreas wear out. T2DM is the result of the body stopping its insulin production OR when the pancreas begins to slow its production of insulin after a period of high demand, often caused by IR. By the time someone is diagnosed with T2DM they have lost 50 – 70% of their insulin producing cells. So really, T2DM is the result of both ineffective insulin AND insufficient insulin. So if we have IR, how do we prevent the development of T2DM? Lifestyle changes are recommended for those with IR to prevent the development of T2DM. These lifestyle changes include weight management, eating a balanced diet and – our favourite – regular exercise. Research has shown that even a single bout of prolonged physical activity (30-60 minutes) can stimulate the transport of glucose in an insulin resistant skeletal muscle cell (i.e. increasing insulin sensitivity). Research also indicates that engaging in moderate level resistance exercise can increase insulin sensitivity by a significant amount. There are also medications available that can be used to help increase the insulin sensitivity of liver and muscle cells. One class of drug used for this purpose is Metformin. 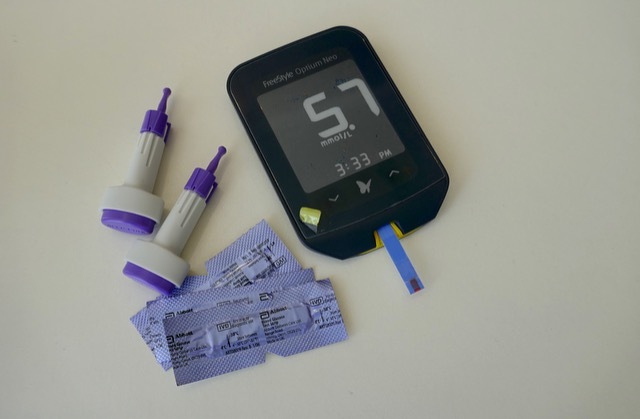 What’s the big deal about T2DM? Does it really matter if you develop it? So why aren’t we all doing as much as we can to prevent T2DM? Good question. For more information on the best way to exercise to manage or prevent metabolic conditions we recommend seeing an Accredited Exercise Physiologist. Don’t hesitate to call us on 08 8981 2886 to make an appointment, or visit your GP to see if you are eligible to receive a Medicare supported referral for Exercise Physiology.